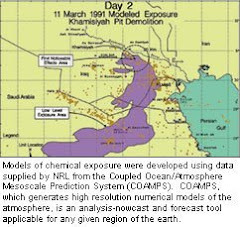 (91outcomes.com) – One of the top health complaints of veterans of the 1991 Gulf War has been sleep problems, including unrefreshing sleep. What is unrefreshing sleep? Normally, sleep refreshes and rejuvenates the body. After a normal sleep period, typically between seven and nine hours, we awake and feel new again, ready to take on the new day. But for us Gulf War veterans, sleep is disturbed and dysfunctional, often in many different ways. 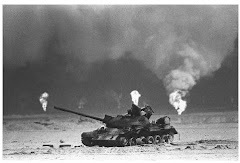 I couldn’t decide which of several areas to focus on for this third article in a fairly personal series on Gulf War illnesses. However, after waking up at 5 a.m. and realizing I’ve slept for about 27 of the last 30 hours, I thought one on sleep might be well timed. In short, his column will attempt to explore sleep dysfunctions, their diagnoses, and potential treatments to help with the sleep symptoms that are so commonly reported among us Gulf War veterans. Sleep problems among war veterans are almost a proverb. Post-Traumatic Stress Disorder (PTSD), with its hypervigilance, excessive watchfulness, depression, anxiety, and dreams of re-experiencing traumatic events, is well known for disturbing sleep. However, for many Gulf War veterans suffering from Gulf War illnesses, PTSD is not the reason for their sleep disorders and disruption in the majority of cases. PTSD almost certainly compounds underlying Gulf War Illness-related sleep problems in those who suffer from both GWI and PTSD. Poor quality sleep can result in increased widespread pain, worsened immune function, headaches, irritability, confusion, forgetfulness, difficulty concentrating, worsened bowel and digestive symptoms, and more. Not getting proper restful sleep can lead to a vicious feedback cycle as well, with worse sleep leading to worsened symptoms, worsened symptoms resulting in worsened sleep, and so on. Breaking the cycle by getting better sleep can be the key. Sleep issues, including some of those discussed below, can also be features of other neurological diseases that are reportedly more common in Gulf War veterans, including MS (multiple sclerosis) and ALS (amyotrophic lateral sclerosis). And with the current wars in Iraq and Afghanistan, there has been a growing understanding of the long-term effects of damage to the brain by concussive and blast injuries. Traumatic, or mild traumatic brain injury (TBI, mTBI) has been called the signature wound of the current wars, but despite being only newly recognized, certainly affected some veterans of previous wars as well, including the 1991 Gulf War. PTSD and Sleep. While PTSD rates among veterans of the 1991 Gulf War are relatively low, especially when compared to PTSD rates from other wars, PTSD still does exist among somewhere around nine percent of veterans of the 1991 Gulf War. That’s less than half the estimated rate among Vietnam War veterans and less than a third the estimated rate of PTSD among Iraq War veterans. Among the PTSD-related symptoms of sleep disturbance are difficulties falling and staying asleep. These are often related to the subtle or not so subtle anxiety surrounding worries or concerns of another night of terrible dreams. The National Center for PTSD has a good list and description of PTSD-related sleep problems. One of the primary symptoms of PTSD is avoidance – avoidance of reminders of the myriad of sights, sounds, smells, tastes, sensations, emotions, and feelings that existed during and around each traumatic event. Compounding PTSD for war veterans is the reality that there are likely many traumatic events, not just one. Veterans with PTSD can be plagued for a lifetime with dreams – fully remembered, half-remembered, remembered only for a flash of a moment after violently waking up upset, angry, or even fighting -- in which one or more of the sights, sounds, smells, tastes, sensations, emotions, or feelings related to the many traumas are experienced yet again during sleep. The mind can be very creative during sleep, continually inventing new dream scenarios that always end up in the same situation, the same place, or are otherwise related to the original traumas. Not surprisingly, all of this can lead to a conscious or unconscious avoidance of going to sleep. And, once asleep, PTSD symptoms and dreams can severely disrupt sleep, not allowing the body to get into the deep levels of sleep required for the body to feel refreshed upon waking. My sons tell me they often find me sleeping on the couch with one eye open and one eye closed. Sleepwalking can be common among veterans with PTSD as well, as well as physically attacking shadows or other dream remnants across the room or down the hall. I wonder how many other combat veterans have unintentionally punched or otherwise attacked their bed partner, fully believing them to be the enemy until your fist connects and you wake up, embarrassed, ashamed, and more. In one of my more memorable PTSD-related nightmares, I jumped up from my bed to kill an attacker that I fully believed I saw, screaming obscenities at him while chasing him around the corner. I fully awoke after I ran into a bookshelf and wound up knocking down some glass bottles, stepping on the broken glass, and cutting my feet. I can only imagine what my poor college roommates thought from their room next door after hearing all the commotion and coming out into the hallway to see bloody footprints leading into the closed bathroom door, behind which I was angrily plucking broken glass from my feet. Obviously, falling back asleep after night issues like these is not easy, but when you’ve got work or class the next day, you have to get rest, and that can be very difficult. And for veterans like me who deal with both PTSD and GWI, it is all that more challenging. “Coming back down” can be very difficult for veterans with PTSD who get into an elevated stated, regardless of whether they got into the elevated sleep from triggers while awake or while asleep. And I continue to believe that there’s a component of not being able to “come back down” that’s also related to GWI. I’ve described it like this: imagine if someone comes up behind you and severely startles you and causes you to “jump.” Now, hold onto that feeling of how it feels when you’re severely startled, and imagine that you feel that way constantly, day and night, for a couple weeks at a time. Whether the cause is PTSD, GWI, or both, that’s clearly a recipe for very bad sleep and the slew of negative effects that come from poor sleep. GWI Brain Damage and Sleep. Many scientists now believe that a variety of chemical exposures permanently damaged the brain and resulted in long-term dysfunction of the “automatic” parts of the body’s functioning, called the autonomic nervous system. Among the functions that appear to be left disturbed are breathing, heart rate, sleep, digestion, and more. This autonomic dysfunction can affect sleep in many ways. Unusual changes in heart and breathing rates might affect natural sleep cycles. Digestion, which usually slows down during sleep, might be altered and affect sleep. Breathing during sleep can simply stop because of dysfunction in the brain’s controls, the tongue or throat relaxing and collapsing and partially or fully blocking breathing, or a combination of the two. This cessation of breathing for short periods or until you wake and gasp for air is called apnea. Not getting enough oxygen, without actually stopping breathing, is called hypopnea. Apnea caused by brain dysfunction, in which the brain “forgets” to breathe while sleeping, is called central sleep apnea, while apnea caused by anatomical blockage is called obstructive sleep apnea. Have both at the same time? That’s called mixed sleep apnea. Ever wake up gasping for air? That might just be sleep apnea. Wake up with headaches, feeling groggy, and find yourself falling asleep during the day? That might also be sleep apnea. Respiratory Issues and Sleep. In the first column in this series, I wrote about the variety of respiratory and sinus issues that affect many Gulf War veterans, including me. Obviously, untreated or inadequately controlled respiratory issues, respiratory infections, and sinus infections can affect sleep. Mucous from sinus infections – which appear to be more common among us Gulf War veterans that other veterans -- may make obstructive sleep apnea more likely, especially if there’s mucous drainage down the throat when sleeping. G-I issues and Sleep. Gastrointestinal issues can cause worse sleep as well. From gas and other bowel pain, to chronic diarrhea, to waking in the middle of the night with an intense urge to defecate, symptoms related to irritable bowel syndrome (IBS), Crohn’s disease, and functional bowel disorders can have a negative impact on sleep and lead to the vicious feedback cycle described earlier. From personal experience, a subtle and often missed diagnosis for sleep and respiratory issues is Gastro-Esophageal Reflux Disease. While we’ll cover GERD in more detail in a future column, if you wake up choking, you might be suffering from GERD, with liquid or other stomach contents trickling up your throat and into your airways while you’re sleeping. Relaxation or dysfunction of the lower esophageal sphincter, which opens to let food and fluids into the stomach and is supposed to otherwise remain closed, can lead to the most severe GERD symptoms and follow-on issues and could be related to the brain dysfunction believed to be at the root of Gulf War Illness. In my case, it was so severe that before effective treatment I would wake up regularly choking on stomach acid – not only unpleasant but dangerous on several levels – or clawing at the air for oxygen. Controlling G-I symptoms and getting good quality sleep are key. We’ll discuss G-I issues in more detail in a later column about Gulf War illnesses. Night terrors. There’s still a lot of debate about the nature of night terrors – waking up feeling terrified or severely agitated but with no memory of a bad dream. They could be related to PTSD, or severe GERD, or apneas and not getting enough oxygen. Some research even suggest link between night terrors and hypoglycemia (low blood sugar). What is clear, however, is that night terrors severely disrupt sleep and can make it difficult or impossible to go back to sleep. And, they can be upsetting for your bed partner as well, particularly if you wake up screaming, shouting, or swinging. Clearly there are many potential causes for sleep issues in Gulf War veterans. The good news is that there are quite a number of possible treatments for sleep issues. Used in combination, they can genuinely improve quality of life. I know for me that they have. Currently, there’s no “cure” for Gulf War illnesses and scientific understanding is only just beginning to get at the root of the issues, but I hope that some or several of the following are as helpful to you as they have been for me. Practice Good Sleep Hygiene. Breaking bad sleep habits not just learned but ingrained in the military can take a lot of time and effort. Those include sleeping not at a regular time but whenever you can; p iecing together sleep throughout a 24-hour or longer period; learning to sleep with one eye (or ear) open to remain watchful for the enemy; never getting a full night’s sleep; waking up for guard duty or other night-time tasks, then having to go back to sleep for an hour, two, or three afterwards; overuse of caffeine and other stimulants; performing all daily tasks like eating, reading, watching a DVD, cleaning your weapon on the same cot, bunk, mat, or vehicle where you sleep because it’s the only home you have. But in order to correct these and other issues, first, you need to know what to do. Sleep hygiene means controlling all the elements and aspects of your sleep environment, your sleep, and how they interrelate. Good sleep hygiene is also easy to do and doesn’t require any special equipment or training. After years of personal experienced, I believe that practicing good sleep hygiene should be first and foremost in any effort to improve sleep quality. Here are some good recommendations from the National Sleep Foundation (http://www.sleepfoundation.org/article/ask-the-expert/sleep-hygiene) and the American Academy of Sleep Medicine (http://www.sleepeducation.com/Hygiene.aspx). See a sleep medicine professional. I’ve found that a lot of Gulf War veterans have no idea that sleep medicine specialists exist, let alone that they are common within the VA medical system. Get a referral to one from your primary care physician and see what they can do to help. Treat Pain. Effectively treating pain is also critically important in order to be able to fall and remain asleep. Recognize that some pain medications may provide sleep, but not necessarily provide restful or refreshing sleep. Studies have shown, however, that most paradoxically, however, getting good quality sleep may actually help relieve some pain, particularly in veterans with fibromyalgia and chronic widespread pain. My own experience has proven this to be true as well, at least for me, so maybe getting better quality sleep will work for you, too in helping manage chronic widespread pain. Treat PTSD, anxiety, and depression. All of these can have severe, negative effects on sleep, including falling and staying asleep, feeling well rested, or even sleeping too much and waking up feeling awful. Some medications for treating these conditions can also affect sleep, either positively or negatively. Be sure to talk candidly with your health care providers to be sure you’re getting just the right medications, doses, and in the right combinations. Treat other health issues. It is of key importance to treat other health symptoms, including respiratory, sinus, gastro-intestinal, and other diseases, illnesses, and symptoms. As mentioned above, and will be discussed in a future column on G-I issues, untreated or poorly controlled GERD can lead to severe sleep disruption and damage to the lungs, airways, esophagus, and more. Exercise. Getting good exercise is an important component to getting good quality sleep. However, for Gulf War veterans like me, exercise helps reduce chronic widespread pain but worsens chronic fatigue, so exercise and rest become more of a delicate balancing act. Mindfulness, Muscle Relaxation, and Deep Breathing Training . All of these used together can have a significant positive effect on getting to sleep and getting back to sleep after awaking after whatever kind of sleep episode. I learned about deep breathing exercises, deep relaxation, and mindfulness from a health psychologist to which the VA sent me (contracted via fee basis) for pain control and coping with the awfulness of new total disability. Here’s an excellent write-up about these: (http://www.helpguide.org/mental/stress_relief_meditation_yoga_relaxation.htm). While I don’t yet practice Yoga or Tai Chi, there’s a lot of evidence that suggests these are very good for improving sleep and controlling pain as well. Take Appropriate Sleep Medications. After trying all of the above, if you’re a Gulf War veteran like me, you might still have serious sleep issues. Thankfully, there are a number of medications that can help. In general, I have found that over the counter sleeping pills make me feel much worse after only a night or two. While they can certainly help you to fall asleep, they don’t always provide the best quality sleep, which can lead to the negative sleep cycle discussed earlier, making pain and other chronic symptoms worse. Antihistamines like Benadryl can be used in a quick fix to fall asleep, but can lead to next day “hangovers” of grogginess and other symptoms. Your doctor might consider prescribing low-dose anti-anxiety medications like Xanax or Valium, thought they should be used very carefully and exactly as prescribed -- using these on a daily basis can lead to tolerance and worse. Anti-seizure and anti-depressants can also have effects on sleep that are desirable for people with sleep disorders and symptoms. Seroquel, an anti-psychotic medication prescribed for a host of “off-label” uses is often given for sleep issues. For me, at low doses (50 mg) it’s definitely my all time favorite because it allows me to get good quality, restful sleep and even to dream again after years of dreamless, fitful sleep. While they might not be able to cure you, the Sleep or Mental Health clinics can help with prescribing medications to help you fall asleep, stay asleep, and get better quality, restorative, restful sleep. CPAP. A machine to help in breathing while sleeping, called a CPAP (continuous positive airway pressure), has been found to help a lot with obstructive and mixed sleep apnea, fibromyalgia, and some neuromuscular diseases. The CPAP consists of a base unit plugged into the wall with a breathing tube attached. The CPAP blows air at a constant pressure, helping to ensure continued breathing during periods of breathing stoppage (apneas or hypopneas). A recent study of Gulf War veterans suffering from chronic multi-symptom illness suggests that the use of a CPAP machine can help alleviate many symptoms, including not only feeling unrefreshed after sleep, but also chronic widespread pain, muscle and joint pain and weakness, irritable bowel issues, debilitating fatigue, and immune dysfunction and related chronic infections. And, there have been enough studies of the use of a CPAP to help relieve the chronic widespread pain of fibromyalgia that VA will now prescribe a CPAP machine for those diagnosed with fibromyalgia, a presumptive condition for service-connection for Gulf War veterans. Let’s be candid: trying to fall and stay asleep with a plastic mask or piece in your nose or over your mouth and nose (depending upon the model your doctor provides you) is challenging for healthy people. Hearing the hum of the machine and hearing your breathing louder and more raspy than normal are not easy to get used to either. Add in abnormal difficulties in falling and/or staying asleep, and getting used to wearing the breathing portion of the CPAP is not going to be easy. I’ve got a very nice electronic CPAP provided by my VA sleep clinic. It even integrates distilled water (you have to fill it manually) to help prevent the mouth, throat and nose dryness associated with older CPAP models. I’ll be the first to admit that it’s just very difficult to adapt to using it, but I’ll keep trying and encourage you to do the same because the science suggests that it really can help with many of our worse symptoms. As one sleep apnea blogger puts it, think of it as snorkeling while you sleep! At the end of the day, getting good quality sleep that is restorative, refreshing, and of sufficient duration and quality can be very difficult. However, starting with improved sleep hygiene, consulting with a sleep medicine professional, and controlling pain and other symptoms are all critically important components. Without adequate, good quality sleep, a negative downward spiral can result that makes everything much worse, particularly chronic pain. With worse physical and mental health symptoms, even worse sleep results, and the down the negative feedback spiral goes. Lifestyle changes might even be required, like using a CPAP. But remember, lifestyle and medication changes are just a small price to pay for still being alive after our combat experiences. To be candid, implementing them properly may not result in us returning to 100 percent functionality, but can result in having a decent enough quality of life to enjoy our loved ones and to continue to contribute or otherwise find enjoyment in still living. You always need to consider your way of sleeping. There is a proper way of doing that. 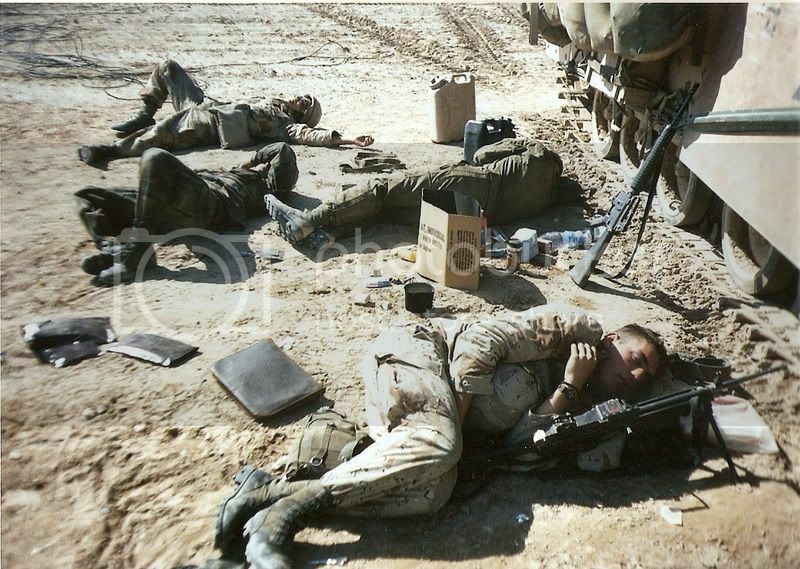 Gulf war veterans may have some sleep issues since they don't really have it for at least 8-9 hours. I am grateful for all your thoughtful articles concerning GWI. This particular article hits home for me hard. I have recently been diagnosed with moderate obstructive sleep apnea and given a CPAP to use, I can wholeheartedly relate to everything you mention. One of the things they don't warn us about is the reactions from PTSD, night terrors, etc when waking up and finding one's face constricted with a mask. Its hard enough to adjust to sleeping with the CPAP without adding in the confusion and terror that I've found waking up from nightmares only to strip off the mask so fast that I'm surprised I haven't damaged it yet. The other thing that comes from CPAP therapy is newfound REM sleep. With that comes more and clearer dreams. I went for several years without having a dream I could remember (despite waking up terrified in the middle of the night). After I started using a CPAP, I found myself suddenly having very clear dreams (nee' nightmares) that were terribly disturbing and affected even my waking hours. My shrink assured me this is normal but it I didn't find it very comforting. So, while I have more restful sleep, I am having more disturbing dreams. I also find that, at some point in the middle of the night, I have often ripped off the mask and chin strap and have no memory of doing so. Sometimes I wake up from night terrors, sweating so bad that the mask loses its seal and is terribly uncomfortable. Needless to say, for us GWV's, sleep is an issue. While CPAP therapy has its upside, for me, it has had a definitive downside that has solved one problem and created another. The nightmares are now the subject of my current psych therapy and I feel like I have a long way to go before I reconcile the difference between positive sleep therapy and detrimental nightmares. War veterans may have sleeping issues. I have a war veteran relative and he was diagnosed with obstructive sleep apnea and was give CPAP to used. I totally understand what you have posted here. I understand why the soldiers get little sleep or experience some sleeping problems. I think they need to see an expert and ask or learn how to sleep with your eyes open.